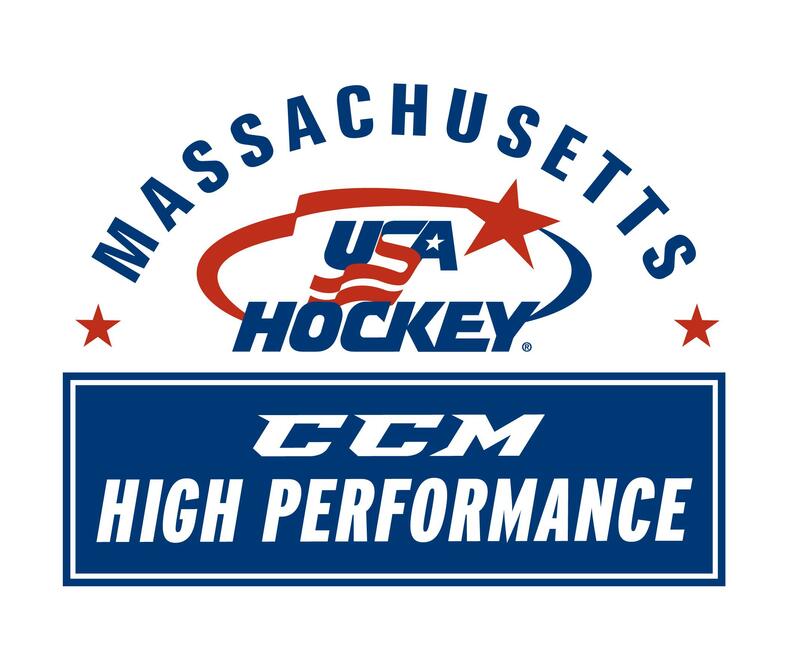 Get familiar with the coaches that are directly responsible for implementing the programming for all Massachusetts CCM High Performance Player Development and USA Development Camp Selections. Massachusetts Hockey’s CCM Hockey High Performance Girls’ Player Development Coordinator since the 2015-2016 season. Head coach of BB&N girls' varsity hockey team since the 2012-2013 season. 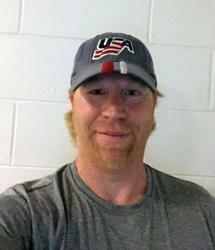 2014, he served as intern coach at the U18 National Camp for Team USA. 2005-06 interim head coach for the BB&N Girls' Varsity Hockey team. 2002-03 season he was the head coach of Sacred Heart University Women's team. Worked with the East Coast Selects hockey program. After Graduating from Sacred Heart, Ed played briefly in the French Elite League with ASG Tours and then was invited to the Greensboro Generals (Toronto Maple Leaf's East Coast Affiliate) training camp. Bourget played Division I college hockey while at Sacred Heart University and was a three time MAAC All-Academic team member. ECAC medal of merit award winner his senior season and was nominated for the Hockey Humanitarian Award in 2001. He graduated from BB&N in 1996. Assistant Coach at Northeastern University. Former Head Coach at UMass Boston. During her time, led the Beacons to the New England Hockey Conference (NEHC) tournament title and an appearance in the NCAA tournament. Guided the team to a program-record 19 wins in 2016-17, and was named the NEHC Coach of the Year in 2017-18 after helping the Beacons back to the conference title game. Former assistant coach for the Beacons from 2011-2014. During that span, UMass Boston appeared in three ECAC East Tournament quarterfinal games, and one semi-final game in 2014. It was also during the 2013-14 campaign, that UMass hoisted the program’s first Codfish Bowl Tournament championship. Spent the 2014-15 campaign at Division I Brown University, where she served as an assistant coach. While at Brown, Berman helped guide Bears to a Mayor’s Cup victory over crosstown rival Providence College, and to a 3-2 record against Hockey East opponents. Standout player at Northeastern University. As a player, Berman played in 135 career games from 2006-10 at Northeastern. She was a team captain, and earned a spot on the 2009 Hockey East All-Start Team that played the US national team. Berman gained one of seven spots on Northeastern’s All-Decade (2002-12) team, and also garnered an invitation to the USA Under-22 National Development Camp in 2008. A 2011 graduate of Northeastern, Berman went on to play for the Boston Blades in the Canadian Women’s Hockey League from 2010-14 after her career as a Husky. Berman captained the team during the 2013-14 season, and won the league’s title, the Clarkson Cup, in 2012-13. She played for the CT Whale of the NWHL in 2015-16, and was a practice player for the Boston Pride of the NWHL in 2016-2017. Dempsey has represented the United States women's national ice hockey team at the 2011 4 Nations Cup. Played for the Harvard Crimson women's ice hockey team from 2009 to 2013. Graduate of the Rivers School and Harvard. Selected as the 10th overall pick by the Boston Blades in the 2013 CWHL Draft. Awarded the CWHL's Rookie of the Year Award in 2014 after leading all American-born players in league scoring. Won the 2015 Clarkson Cup with the Boston Blades. Toni Ann is originally from the Bronx, NY. She was drafted 15th overall to New York Riveters (2017 NWHL Draft). She recently graduated from Boston College (2013-2018) where she was a three-time Beanpot Champion, two-time Hockey East Champion and made three NCAA Frozen Four appearances. Plus, she was awarded Hockey East Defenseman of the Year (2018), Hockey East First Team Allstar (2018), NCAA Top-10 Patty Kaz award finalist (2018) and All-American- second team (2018). Toni Ann holds the Eagles single-season & all-time scoring record for defenseman; led all defensemen nationally in the 2017-18 season; BC 100 point club (third defenseman ever); and won the “Unsung Hero” award at the Golden Eagle's award ceremony. Toni Ann participated for USA Hockey Women’s National program on the 18U Festival Team (2013); selected to represent USA at the IIHF camp in Vierumaki, Finland (2014) and the 22 and Under Development Camp (2015). She attended the North American Hockey Academy (NAHA) 2011-2014. Captain (2014), where she won Junior Women’s Hockey League Defenseman of the Year (2014) and three-time Junior Women’s Hockey League Champion. Cornell University ('14), two-year captain. ECAC Co-Best Defensive Defensemen of the Year (2014). U.S. Women's National Team Program. 2014 & 2015 Four Nations Cup (silver, gold). Boston Pride (3 years), 2016 Isobel Cup Champion. Maggie Taverna has been involved with the game of hockey since the age of 7. As a player, she had one of the most decorated careers at national power house Boston College. As the newly hired head coach at Dexter Southfield she plans on bringing her playing and coaching experience to elevate the girls program. Before Dexter Southfield Taverna was the head coach at Arlington Catholic High School (2010-2017), Taverna led the Cougars to the state championship game four times in seven years (2012, 2013, 2014, 2016) and has won three Central Catholic League championships. Taverna also coached Arlington Catholic to the 2012 state championship and was later named the 2012 coach of the year by the Boston Globe. Her players have gone on to play at some of the top women’s programs in NCAA Division I and III. Taverna had a standout playing career at Boston College, where she was one of the team’s captains in 2008-09. While at The Heights, the defenseman helped the Eagles advance to two NCAA tournaments, including a berth in the 2007 Frozen Four – the program’s first-ever appearance in the national semifinals. BC also won three Beanpot championships while Taverna played in Chestnut Hill. In 2016 Taverna was inducted into the Beanpot hall of fame. She tallied 67 career points (15 goals, 52 assists), the fourth-highest total by a defenseman in program history at the time of her graduation. She also left the program playing 141 games, the most by any player when she graduated. Taverna was a member of two U.S. Under-22 teams (2006, 2007) and was a member of the player pool for the 2009 U.S. Women’s National Team. 2013, Taverna was drafted by the Canadian Women’s Hockey League’s local entity, the Boston Blades. 2016-17, Taverna was a practice player for the NWHL affiliate Boston Pride. She played in two pre-season games against Boston College and the Russian National team. Coach of some sort of capacity within the women’s game since graduating from Utica College in 2007. Dedicated 10 years of coaching on ice with different teams and leagues throughout North America and Europe before recently making the move to full time Strength and Conditioning. Experience of being in the prep school world (National Sports Academy) as well as putting in the time managing hockey operations with Legacy Global Sports and the Junior Women’s Hockey League. Most recenly, Vossler served as Director of Hockey Development with the Washington Pride. Vossler relocated from the D.C. area back to New England and has shifted her full time focus to developing athletes off the ice and in the weight room rather than splitting her time. With this balance, she allows herself to be full committed to continuing to inspire and believe in young athletes as she helps them move one step closer to their personal goals. She carries the experience of being a collegiate athlete and competitive coach, but is constantly seeking new ways to expand her knowledge within the ever-changing strength and conditioning realm. As a coach, she pledges to stimulate positive change within the lives of others by inspiring, motivating and empowering individuals on a daily basis. Amy Zappen is the Girls Goaltending Coordinator for Massachusetts Player Development (MPD) serving in that role since 2013. She is currently the Goaltending Coach at Boston University and a goaltending coach for USA hockey at National Development Camps. A former captain at St. Anselm College, Amy had a tremendous career and is the school all-time leader in saves made and saves per game while ranking second all-time in wins and shutouts. During the 2011-2012 season, Amy was named ECAC Women’s East Goaltender of the Year, First Team All-ECAC East honors, selected to the New England Hockey Writers All-Star Team and won the ECAC Open Tournament Championship.